Sometimes the 'new order of things' is so vastly different than you expected. Sometimes that in itself is difficult. Paralyzingly difficult. Sometimes that's okay. 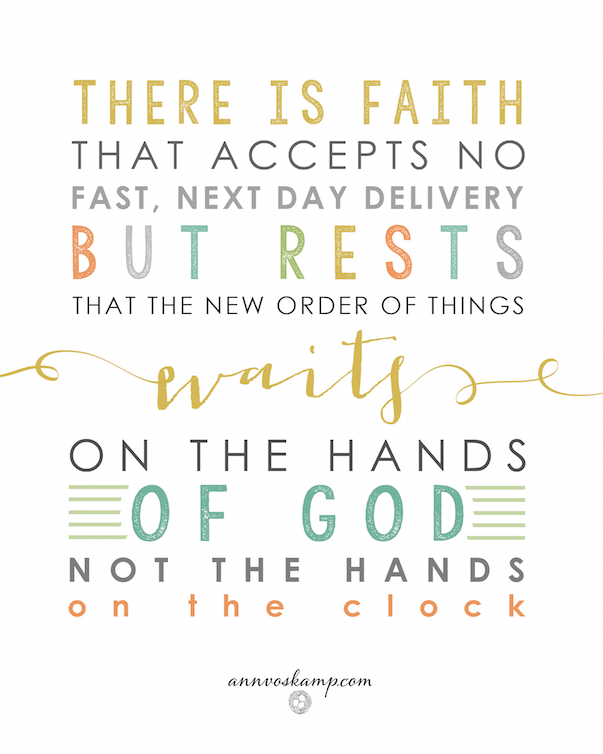 For in the waiting you are meant to rest. The clock does not matter. It's not about YOUR timing. It's about HIS timing. Hard as it may be. And just because it may not be happening in your own time, doesn't mean that it wasn't necessarly not meant to be. 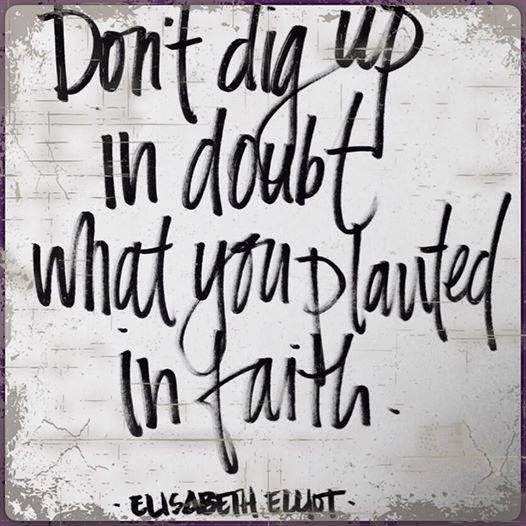 You planted the dream in faith, so don't allow doubt to dig up the beautiful dream God placed in your soul. Just thinking about the "forever home' dream and wanted to encourage you with the reminder to read your love story at the top of your blog. Your "forever man" took a long time coming, with pain and heartache along the way, and maybe even giving up on the dream to trust that God would take care of you .... and He did. Yes, Ruth. So true. What seemed impossible then, turned into something beyond my dreams. Worth the wait. I can't wait to see how this dream unfolds. Thanks for the reminder.